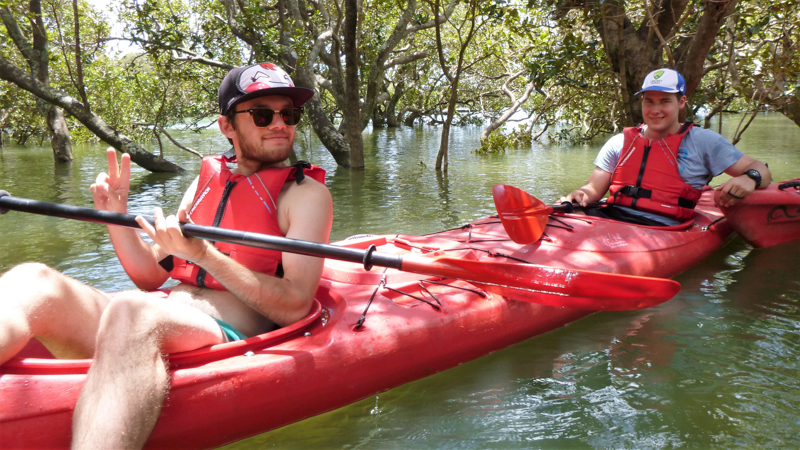 We offer a range of guided kayak tours and hire options that cater to all experience levels and desire for adventure. 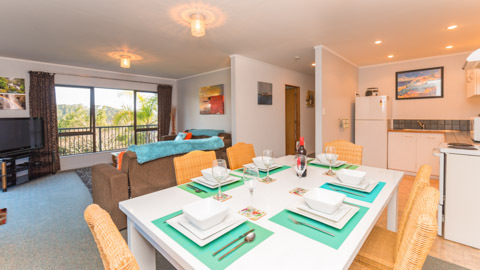 Tours depart daily from our Beach Base and we have a tour to suit everyone. 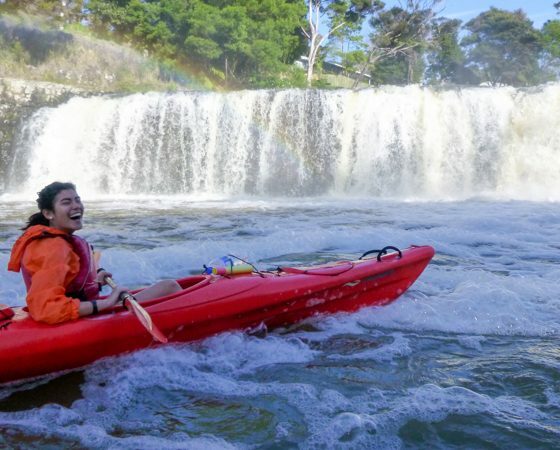 Explore the Waitangi Inlet on one of our Waterfall Tours and experience our enchanting mangrove forest, meet the local wildlife and be astounded by our horseshoe-shaped Haruru Waterfall or have an ocean paddling adventure exploring the Bays and Islands on our Coastal Discovery Tour. 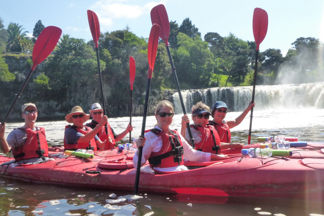 Our friendly guides will amaze you with beautiful Maori legends and local history and document your paddling experience with tour photos that we offer to you free of charge. 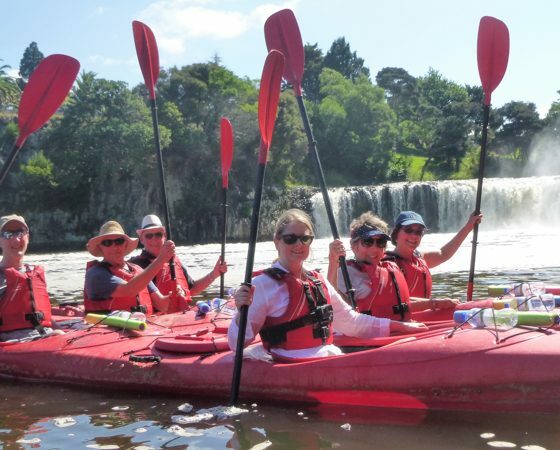 Suitable for individuals and families through to large conference groups. 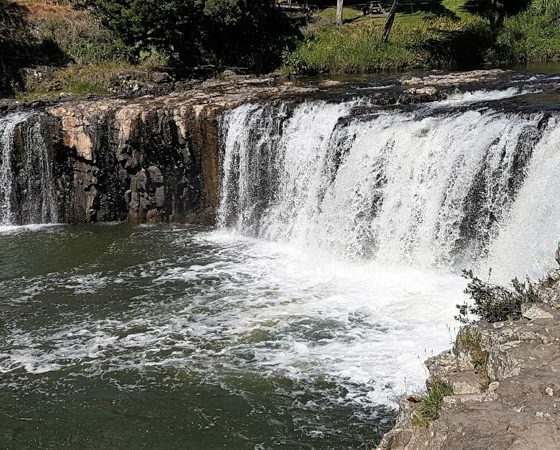 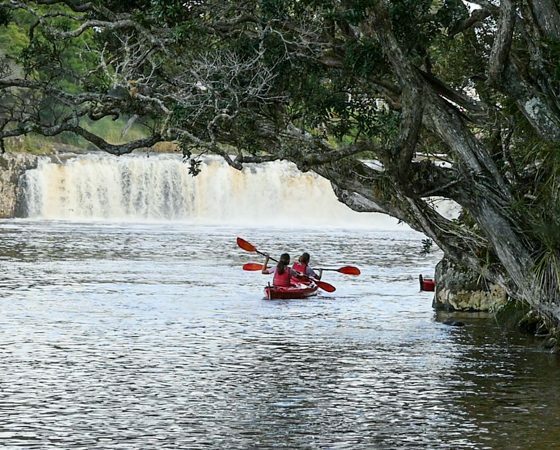 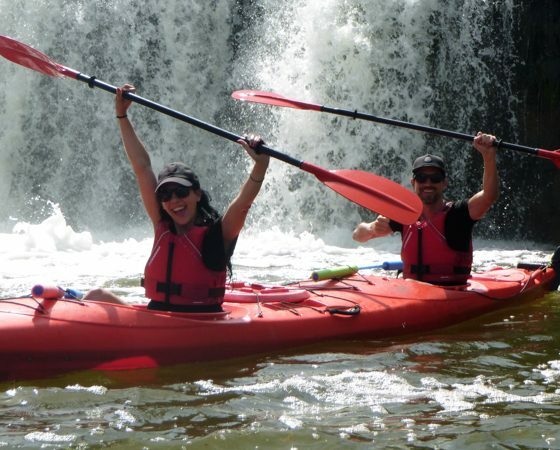 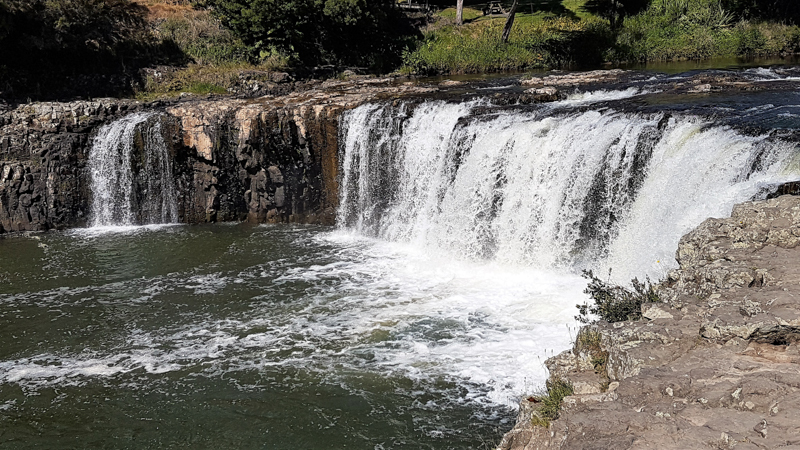 Our famous Classic Waterfall Tour has been designed for the more adventurous paddlers. 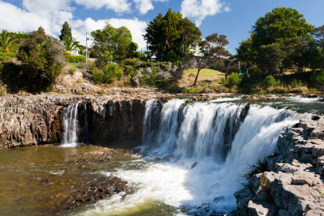 This epic tour winds its way from the mouth of the Waitangi Inlet up to the base of the wondrous Haruru Waterfall. 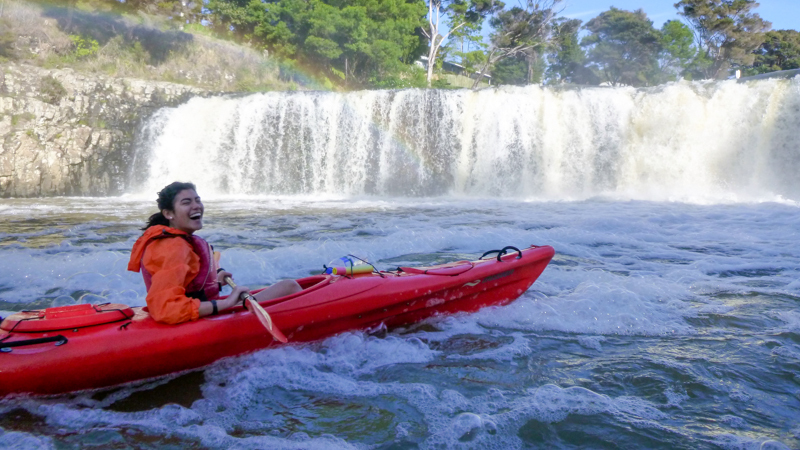 Once there, your guide will take your photo in front of the unique horseshoe-shaped waterfall while you’re being showered with the misty spray from the rushing water, before returning down the inlet. 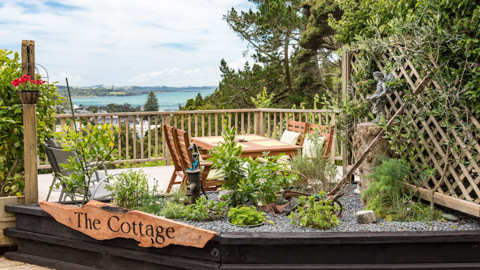 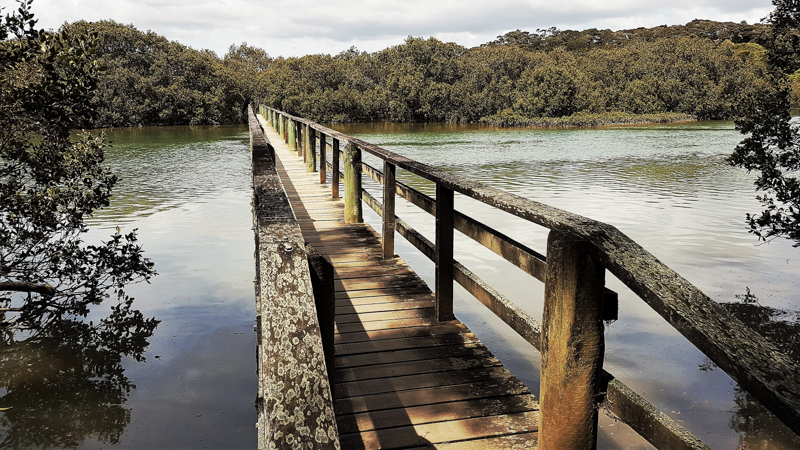 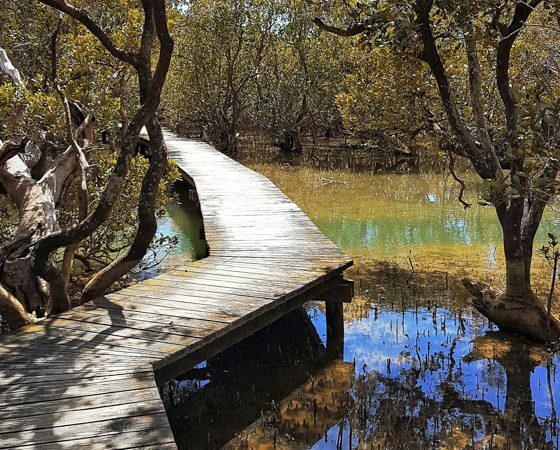 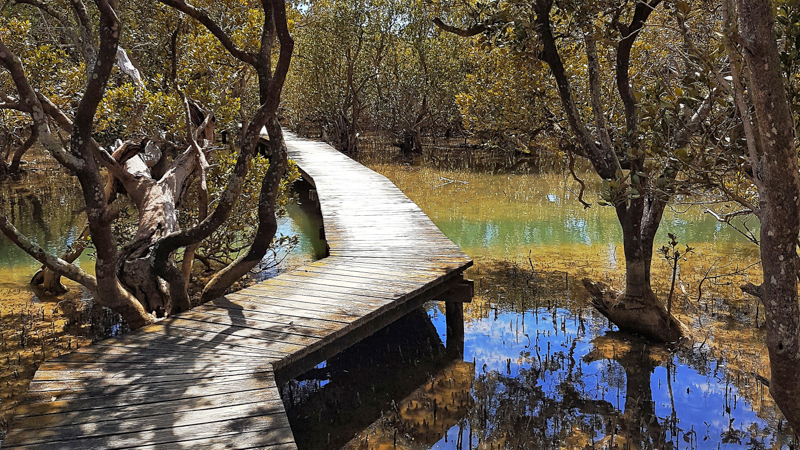 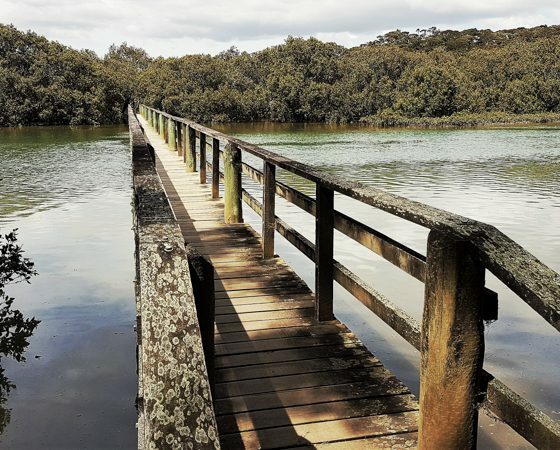 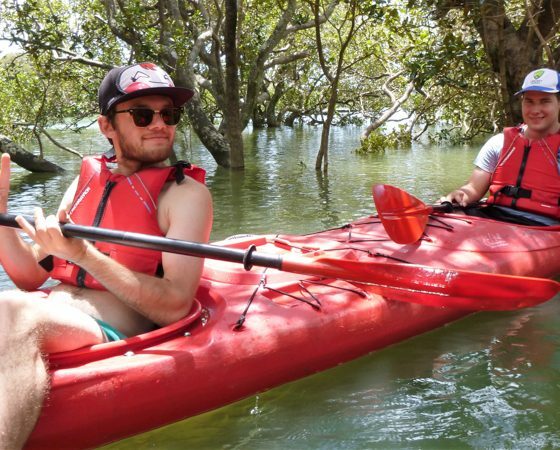 During this entertaining tour, you will experience the fascinating mangrove forest, be astounded at our gorgeous wildlife, and amazed by the beautiful Maori legends and local history shared by your guide. 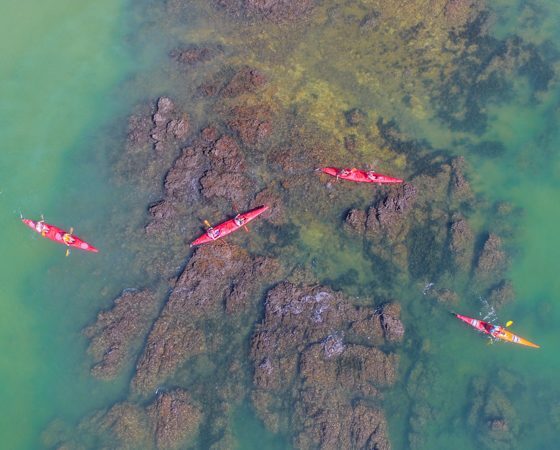 This adventure will be documented through photos taken by your guide, available to you free of charge. 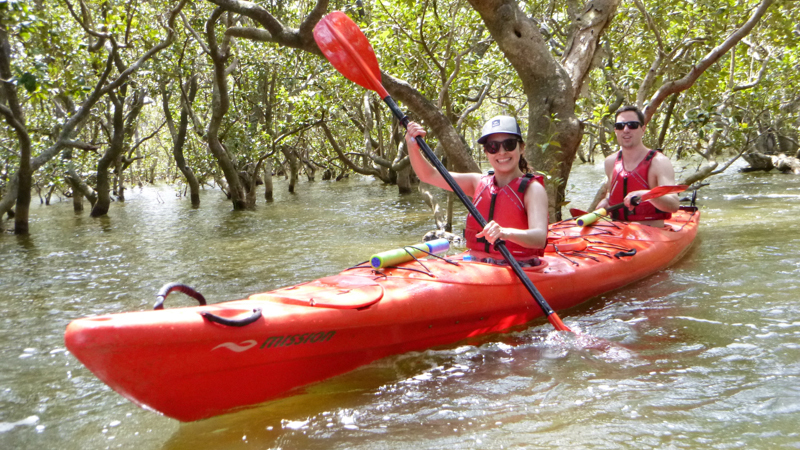 Includes: Complimentary local pick-up/drop-off service, tour photos, sunscreen and use of dry bags & water pistols. 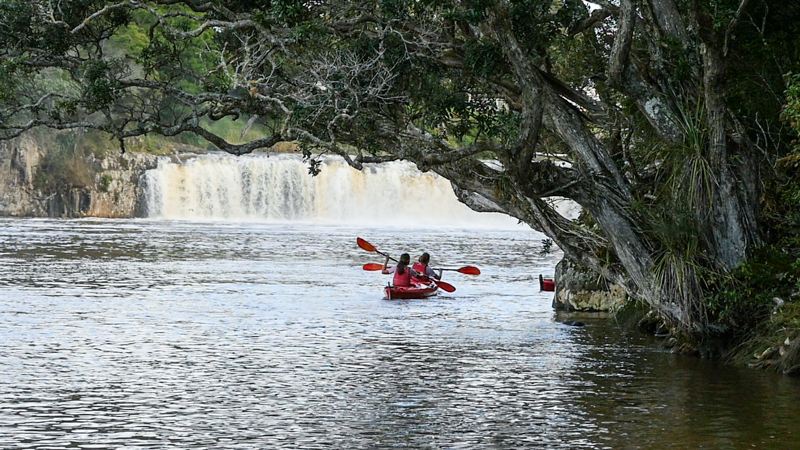 Duration: 2 Hours and is great for beginners through to experienced paddlers. 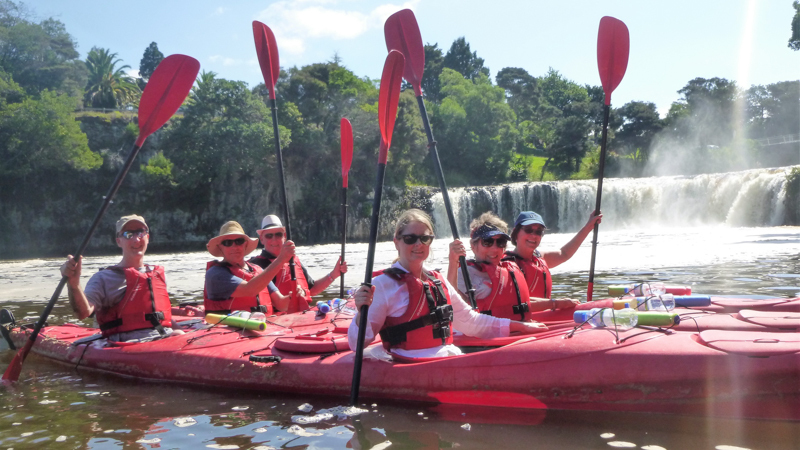 We have condensed our wonderful Waterfall Classic Tour to cater for beginners or anyone who is little short on time. 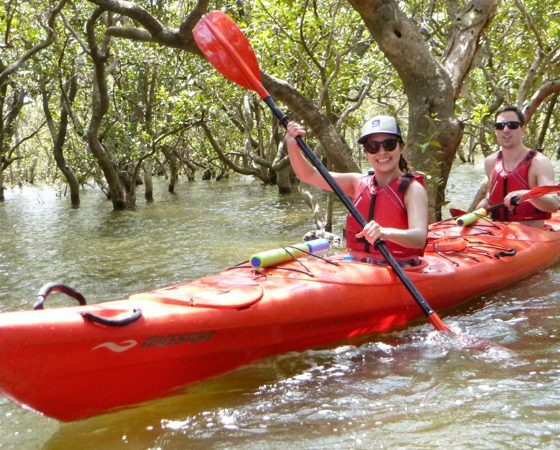 On this fun-filled tour, you will paddle one way and get transported by a vehicle the other, while on the water you will feel the spray from the unique horseshoe-shaped Haruru Waterfall, be fascinated by our incredible Mangrove Forest and be blown away by our local wildlife. 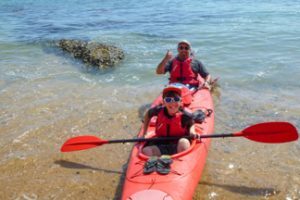 Your guide will keep you entertained and amaze you with beautiful local Maori Legends and history and all this will be captured with photos taken by your guide and offered to you free of charge. 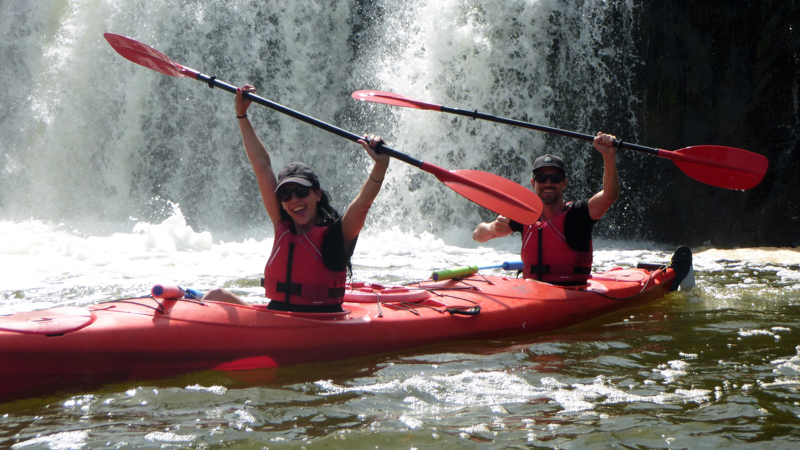 Private guided tours are available on request. 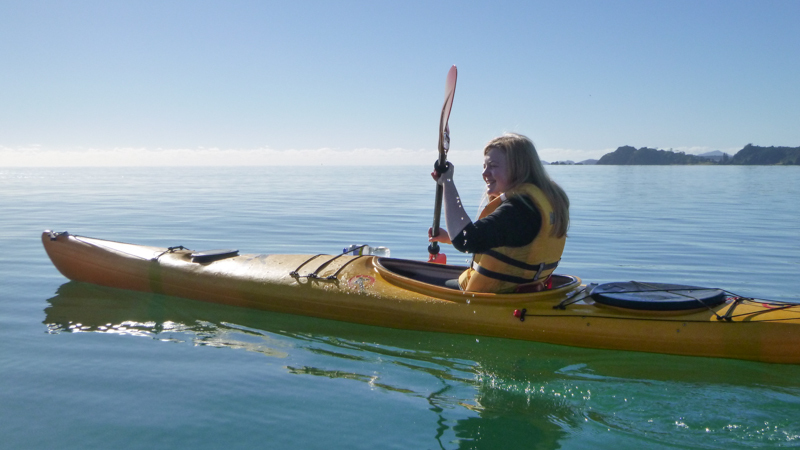 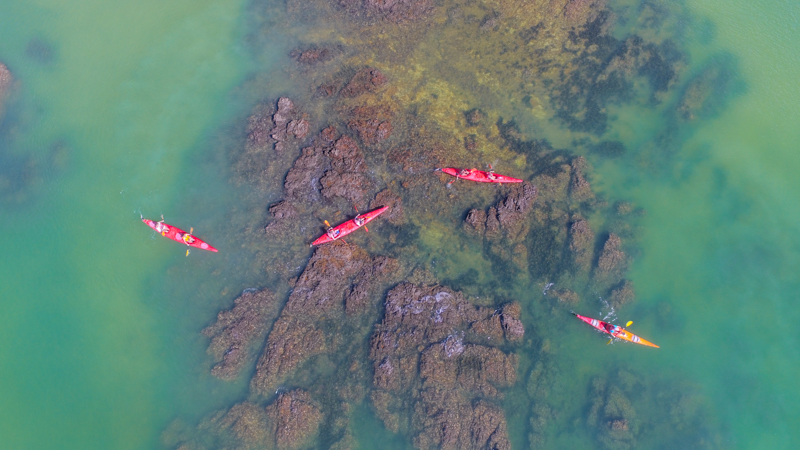 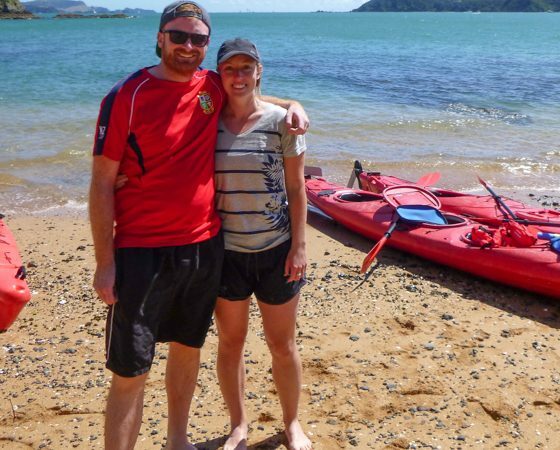 Explore the beautiful Bays and Islands in front of Paihia and Waitangi, this tour is a great taster to sea kayaking and is ideal for beginners or those who are strapped for time. 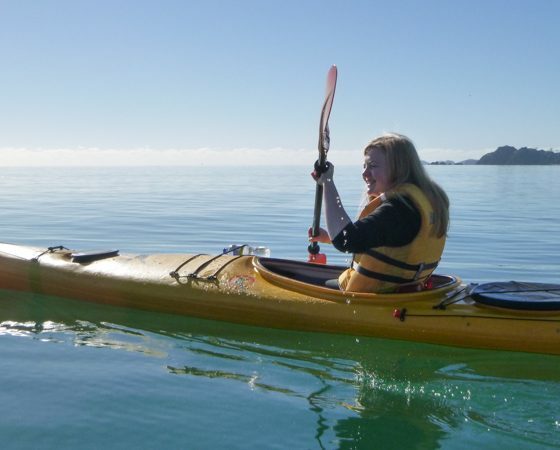 On this tour you will paddle past idyllic, uninhabited islands and through crystal clear water that reveals New Zealand’s amazing marine world beneath you while your guide astounds you with our amazing local history and wonderful Maori Legends, all the while you guide records your ocean paddling experience with amazing photos which are available free of charge. 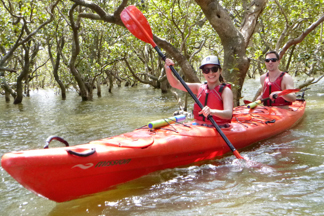 Includes: Complimentary local pick-up/drop-off service, tour photos, sunscreen and the use of dry bags & water pistols. 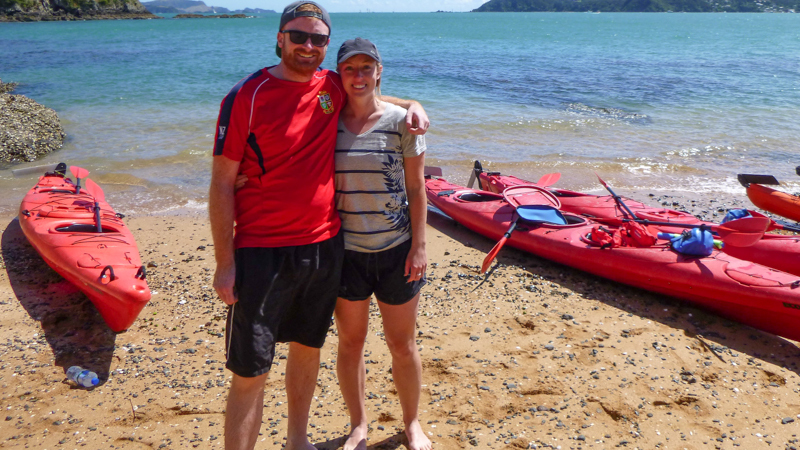 Complimentary local pick-up/drop-off service, tour photos, sunscreen and use of dry bags.